Laurie Cabot (if you don't recognize the name) is the official Witch of Salem, MA, and the person mostly responsible for the Witches League for Public Awareness. She's done some good things for the community, but I don't like her writing. 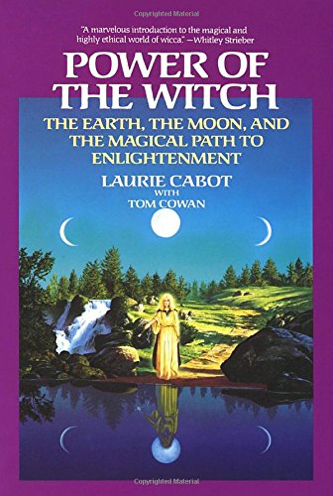 This work covers Cabot's understanding of Witchcraft, and the chapter titles are: The Ancient Power of Magic, the Old Religion, What They Say About Witches, The Craft of the Wise, The Science of Witchcraft, Alpha, A Witch's Life: Everyday Magic and Milestones, and Witchcraft Tomorrow. Some of the information she presents as fact in the chapters “The Old Religion” and “The Craft of the Wise” are really not facts, they're conjecture based on shaky scholarship. There's some good information in here, on different traditions and how to go about finding out which tradition you belong in, but it doesn't cover anything other books don't explain better and without that condescending tone. Her brief bio tells the reader “Laurie Cabot….always wears her witch's robes in public”. Enough said, I think.